For the best quality boiler installation Bridgend, always trust the experts. 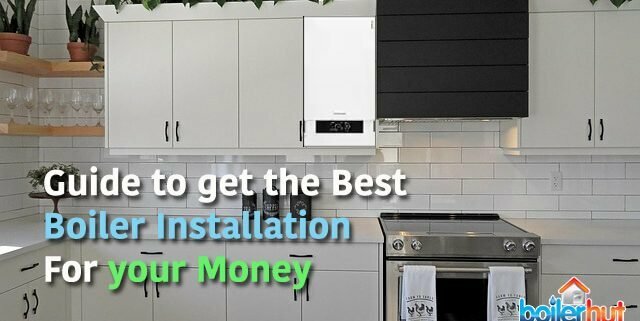 This guide will give you helpful and factual information on how you can save money and time, and get the best boiler installation Bridgend or anywhere in the UK for that matter. Is it Safe to Buy a Boiler Online? If your Boiler needs Constant Repair, Replace It! 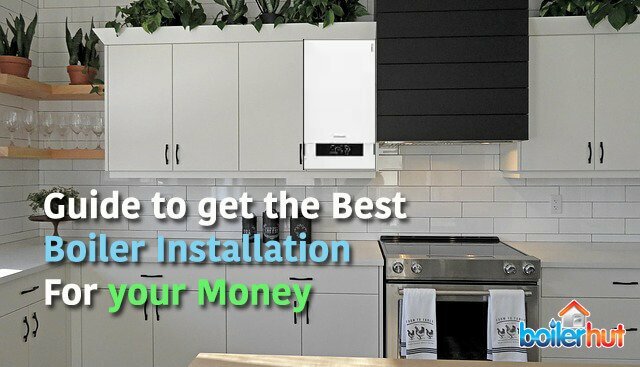 We understand that investing in a new boiler installation Bridgend is perhaps one of the biggest buying decisions a household owner one can make. But if your boiler keeps breaking down and you’re spending on average £150 per quarter for repairing it, it’s better to replace it. On top of that if your boiler is older than 12 years, and is a non-condensing boiler, that’s a double whammy. Non-condensing boilers are low on energy efficiency. There are massive benefits in terms of energy savings and consistent heating and hot water when you switch to a modern A-rated condensing boiler. A condensing boiler achieves sky high efficiency (up to 94% and close to 100% on premium boilers) by condensing water vapour in the exhaust gases, which recovers its latent heat by way of vaporisation. This condensed vapour exits the system in liquid form, via a condensate pipe into the drain. If you’ve already paid for a condensing boiler installation Bridgend, it’d be a good idea to get the condensate pipe insulated now to avoid it getting frozen during winter and having your boiler cease to function. Your older non-condensing boiler would waste that, and lose energy efficiency in the process. Older boilers are about 70% to 80% efficient at best. And depending on the corrosion on their internal components, could be even lower. Boilers older than 20 years, with a highly corroded internal parts can lose even 50% of their efficiency. That’s a massive gulf in monetary terms. 50% efficiency means you’re wasting exactly half of the fuel going into the boiler. Not only is that bad for the planet, but also for your pockets. For every £100 you’re spending on energy bills, you’re losing £50. That money, on top of servicing and repairing costs, adds up to a big total over time. By simply switching to a modern condensing boiler, you can bring that efficiency up by a whopping 40%-45%. Once you get your quote, and assuming you’ve put the correct contact information, a friendly and helpful Boilerhut heating expert will call you to give free, helpful advice on which boiler is best for your property. Do not worry, your information will not be misused. We are GDPR compliant, and more importantly we are a boiler installation Bridgend company, not a lead generation company. We have nothing to gain from sharing your information with anybody else. It is very important that you communicate your needs clearly with the heating expert over the phone. If your boiler installation Bridgend is not straightforward and can’t be confirmed or finalised online or over the phone, please do not hesitate to ask for a site survey. When you search for an online boiler quote on the internet, there are literally thousands of companies trying different marketing tactics and offering you all sorts of things. Beware of lead generation companies as they are not installers. They might send your information over to several boiler installation companies or recycle it. That’s not all bad if you’re looking to get several quotes. But a better option is to choose a boiler installation Bridgend company based on their reviews. It’s a good idea to look for companies who will give you helpful advice and expert installation along with excellent after sales service, which shines through in their customer reviews, like Boilerhut reviews on TrustPilot. If a company’s clients are heaping praises on the installers, it probably means you’ve found one of the best ones. Getting it right the first time is very important. That way you avoid repeat visits and further time wasting. Expert boiler installation Bridgend comes with years or even decades of experience. You want a company that practices what it preaches. We understand that the temptation to buy the cheapest boiler will always be there. But you might be trading short term savings for long term pain. Cheaper boilers tend to generally have lower quality internal components, for ex. aluminium heat exchangers or dodgy electronics. Which may work fine over a period of 3-5 years, but then due to corrosion caused by intense mechanical and thermal stress, they start losing efficiency. Not only that, they break down more often. You may have seen us recommending Viessmann boilers in a lot of our boiler comparison and reviews on our blog. That’s not only because we are Viessmann Premium Partners, but it’s backed up by facts. And the facts are that Viessmann boilers are the most technologically advanced boilers in the UK market at the moment. Starting from their entry level model, the Vitodens 050-W, to the mid level Vitodens 100-W, to the high end and unique Vitodens 200-W.
Why are Viessmann Boilers Better than the Competition? Combined PRV (Pressure Release Valve) and Condensate: Makes for a compact boiler, easier to site and install, lesser pipework. Installers love it. In-Built Shock Arresters: If you’ve ever experienced the water hammer problem, you know why this is a good feature. Modulate Energy Usage between 5kW and 30kW: On top of condensing technology, this further saves energy. How can Viessmann Compete on Price then? Viessmann’s foray into the residential boiler market is only recent. They are world leaders in the commercial boilers space. Some of the world’s biggest commercial buildings, including the Principality Stadium in Cardiff, run on Viessmann’s commercial heating systems. This means their manufacturing plant is state-of-the-art. Unlike other manufacturers who source their internal components from third-party manufacturers, Viessmann manufactures pretty much everything in-house. Every Viessmann boiler is made in Germany. Their stainless steel heat exchanger is patented and manufactured in-house. 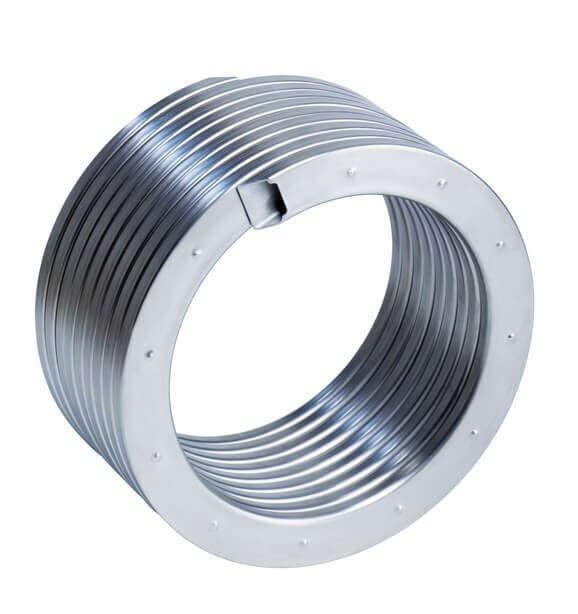 Whereas a lot of other boiler manufacturers source their aluminium heat exchanger from a French manufacturer called Giannoni. This allows Viessmann to offer their technologically superior product at a competitive price point. 7 Newport Plumbing Tips to Get the Most out of Your New Boiler What is a Combi Boiler?